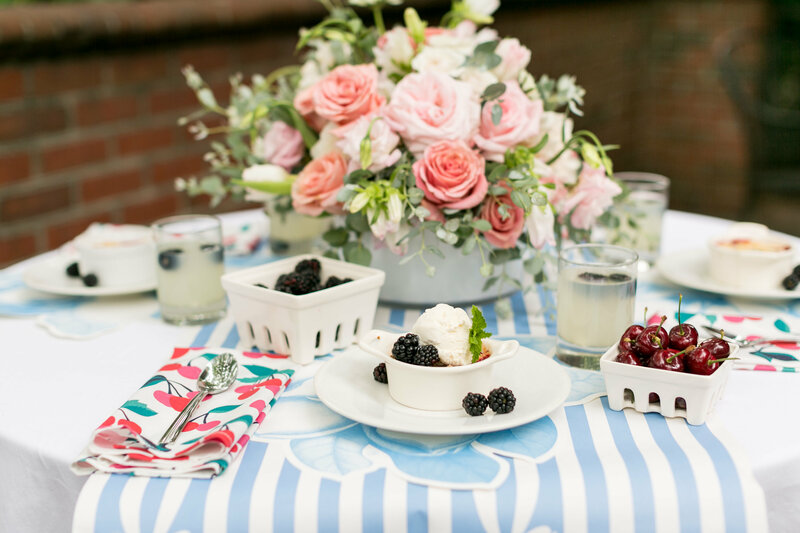 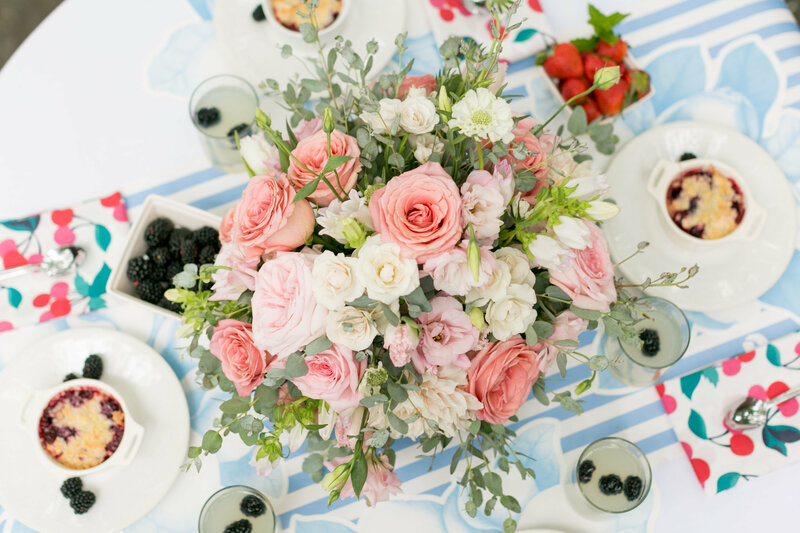 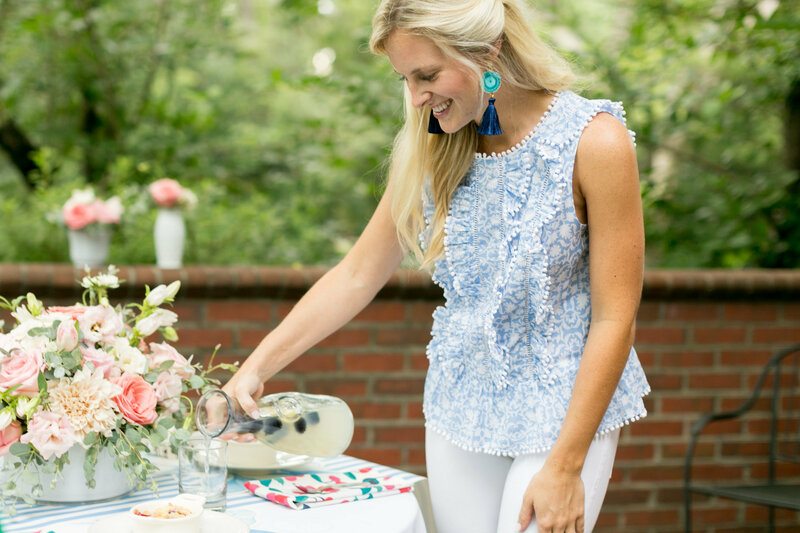 We filled our flower buckets with feminine pinks and pops of salmon tones as our goal was to design something full of summer whimsy that would perfectly compliment those lovely hints of Draper James blue seen in the runner and magnolia placemats. 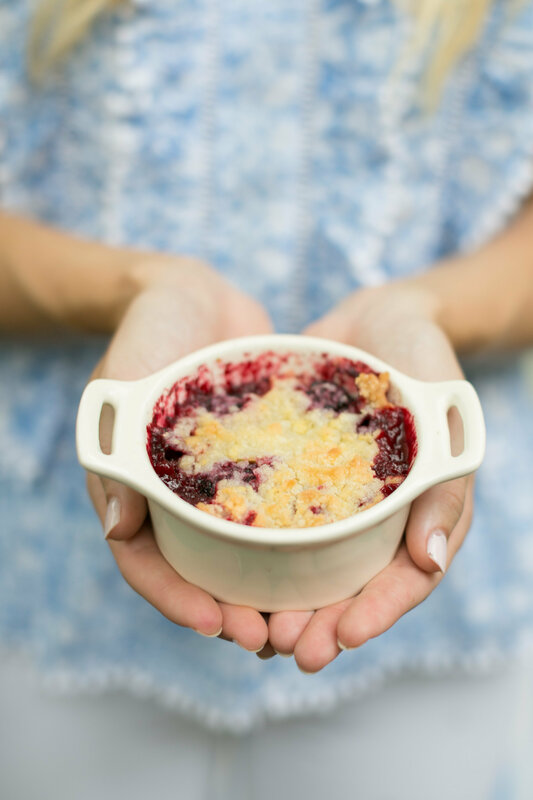 Speaking of blue, we are suckers for blueberry, peach, and blackberry cobbler. 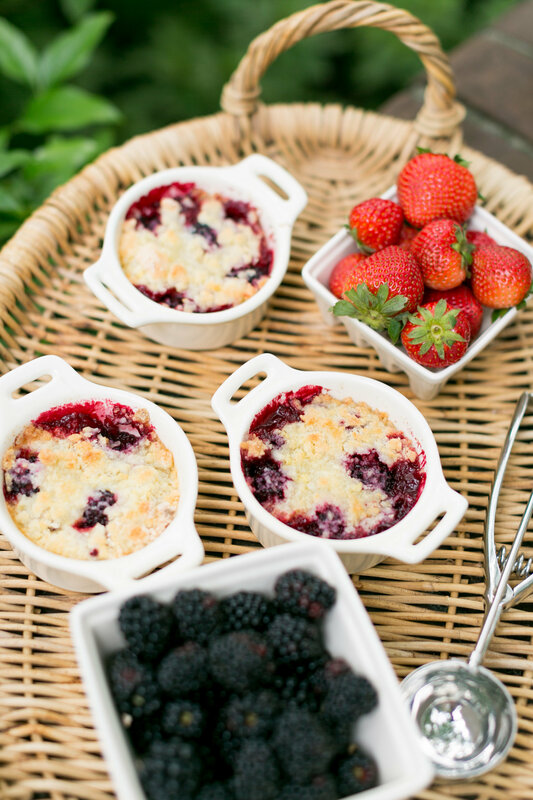 Okay, well maybe any cobbler for that matter. 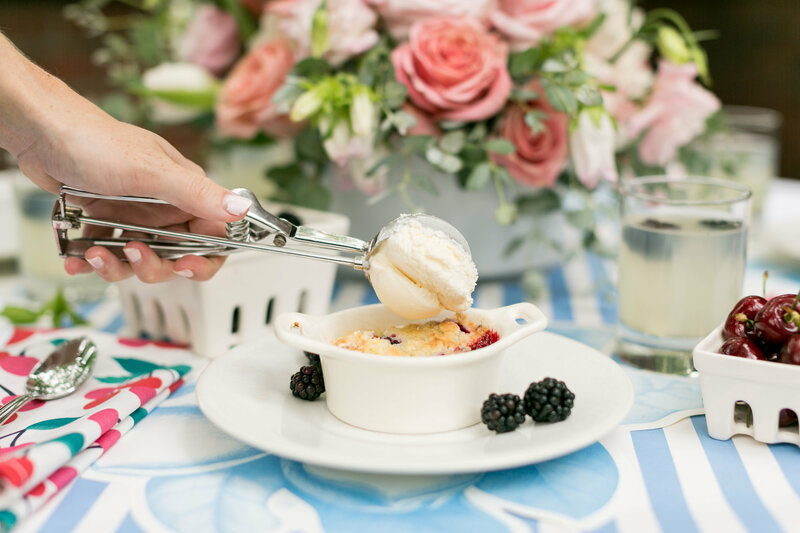 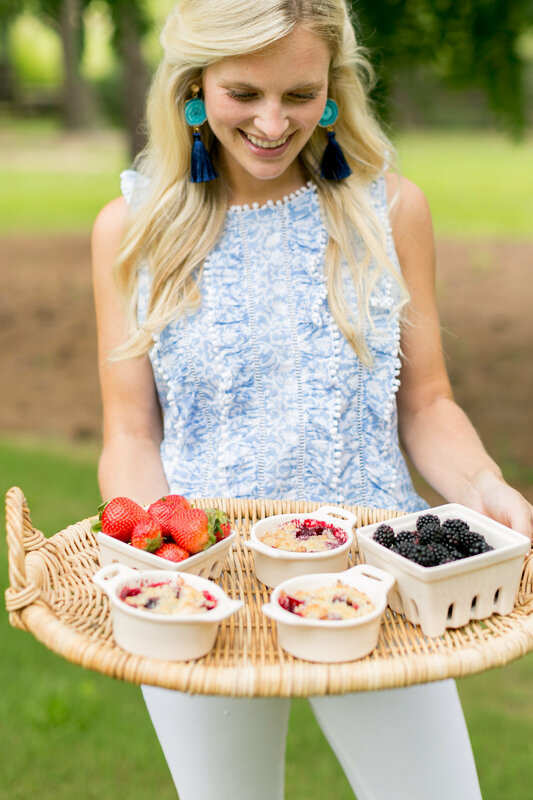 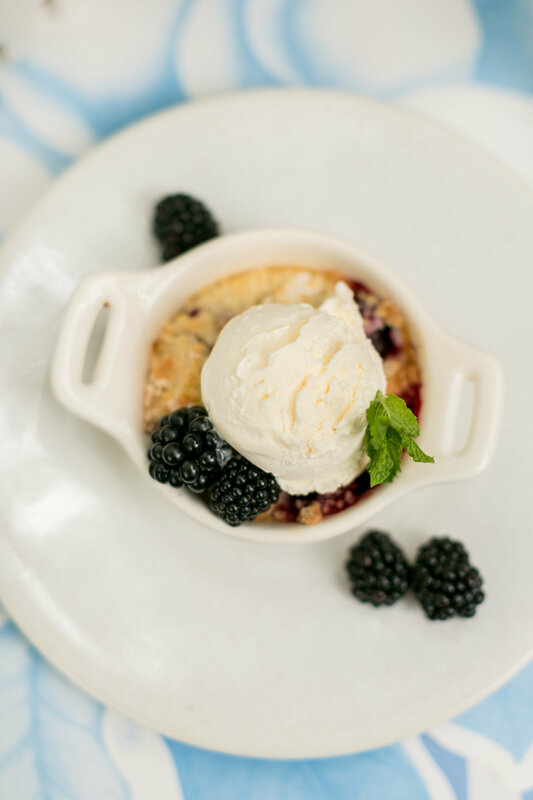 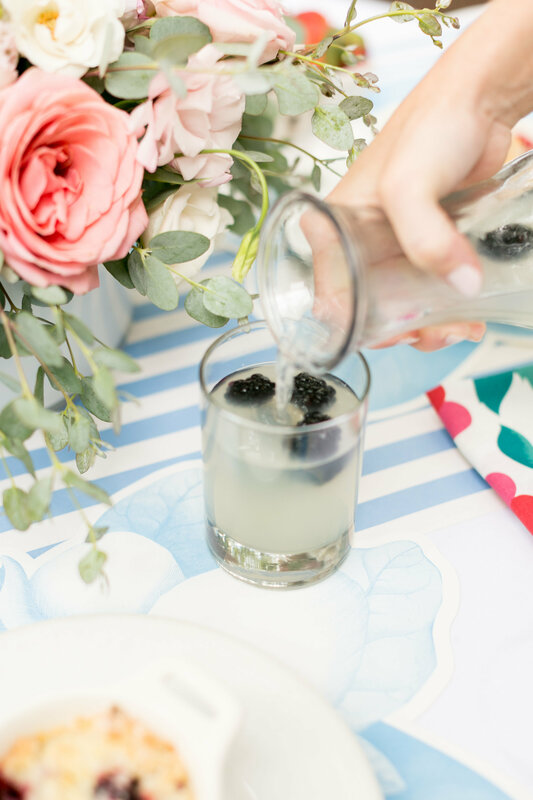 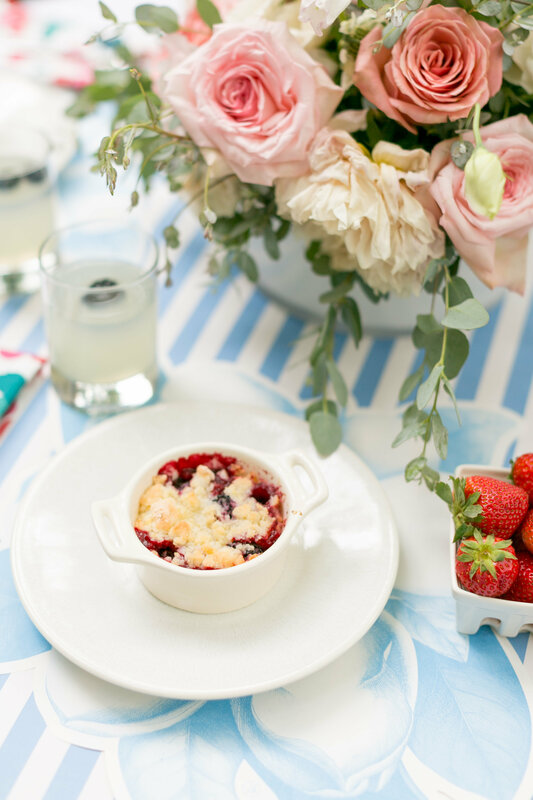 Truth is, Elisabeth is sharing her easy peasy mini blackberry cobbler recipe over on Draper James blog (link below for ya!) 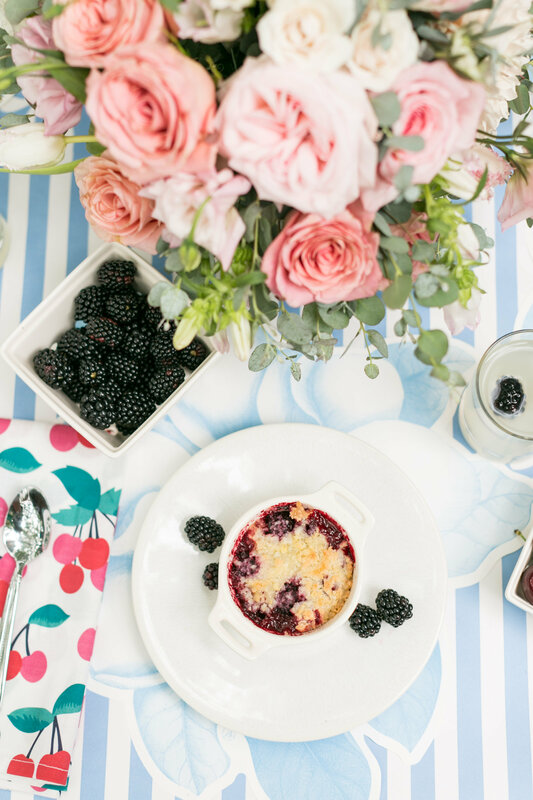 that we are sure you will want to place in that handy cookbook of yours. 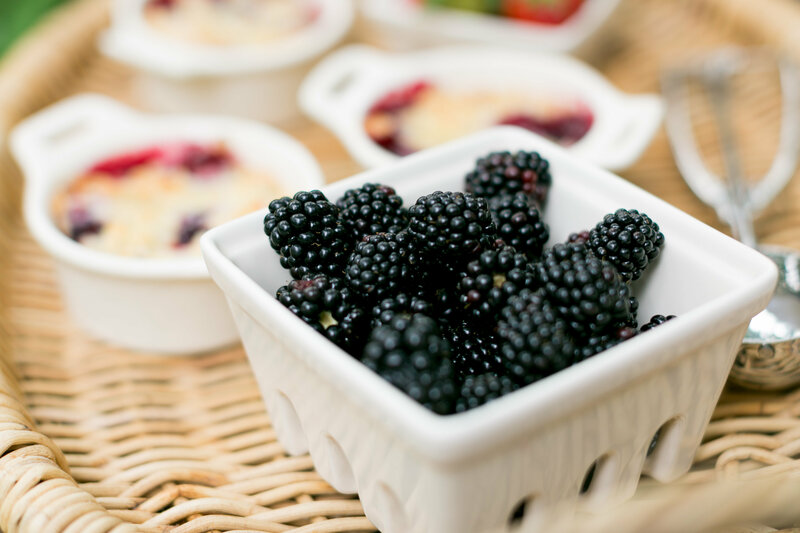 Enjoy friends, and wishing you a fruitful summer! 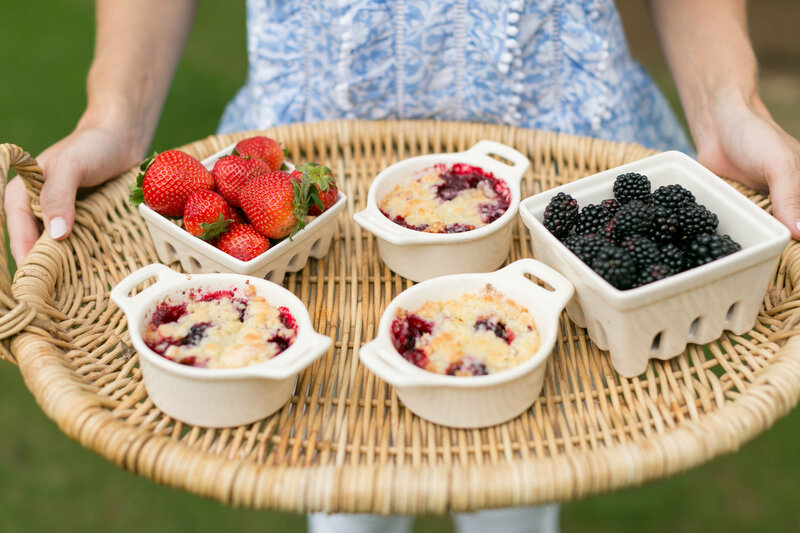 Now get to pickin’ those berries and whippin’ up the sweetest treats!